Mícheál Mac Donncha has been a member of Dublin City Council since 2011. He is a long-serving member of Sinn Féin at local, Dublin and national level. He was editor of An Phoblacht, the Sinn Féin newspaper, from 1990 to 1996. In 1997 he was appointed political advisor to Caoimhghín Ó Caoláin, then the sole Sinn Féin TD in the Dáil. He was political manager of Sinn Féin's Dáil team from 2002, as well as advising Deputy Ó Caoláin on the Health & Children portfolio, for which Deputy Ó Caoláin was the party's spokesperson. From 2011 to 2014 he was Cathaoirleach of the City Council's Finance Committee. At local level he was heavily involved in the campaign for a just resolution for the former residents of the Priory Hall apartments in Donaghmede. He has lived in Kilbarrack since 1972 and has been involved in the community there over many years. 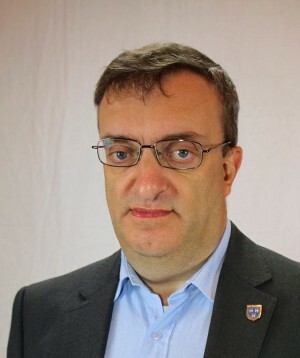 Mícheál was re-elected to the City Council in 2014. He is a founder member of the Council's Moore Street Advisory Committee and has long campaigned to save this historic street with its 1916 Rising heritage. Is Gaeilgeoir é Mícheál agus is minic a bhíonn sé ag labhairt ar na meáin cumarsáide Ghaeilge ar son Sinn Féin.